Whole day tour escorted by guide and by de-luxe motorcoach. Pick-up from the hotels. Driving along the Amalfi Drive we will reach Positano and, during a short stop on a panoramic terrace, you will admire a breathtaking scenary. 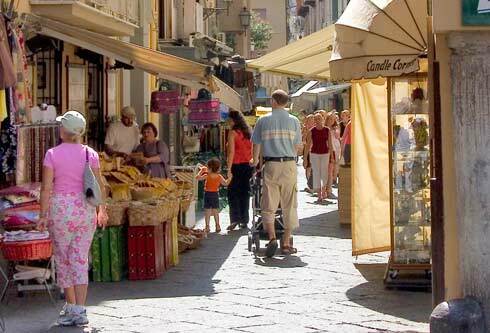 Then to Sorrento, one of the most well known places in the province of Naples. Rich in history and important monuments, extolled by ancient and modern poets, to-day it's swarming with tourists from all countries, owing to its pleasant climate and beautiful landscape. Time at leisure to discover the town, to do shopping and to visit an inlaid woodwork factory. Optional lunch. Expected return at 4.00 p.m.